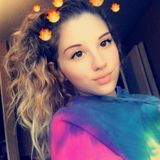 Want to connect with Kassidy? Hello my name is Kassidy. I am interviewing for a child care provider employment opportunity in Decatur, Indiana. Consistently, I work to be a hard working individual. I will work part or full-time as required. I can take care of transport to and from extracurriculars, afterschool care, and travel support. Further, I have personal transportation available. When it comes to my training, I have multiple years of experience. I am a retired nurse looking for a family to help out. I enjoy working with children and have lots of experience.